As I've mentioned in the past, my cousin Laura and her family are Mennonites. I don't ask a lot of questions, but I know they are somewhat related to the Amish. Mennonites dress modestly, rely on farming for income, are Christians, and are less conservative than the Amish. where we saw the next step in the process and even got to taste some of Laura's homemade pickles, which tasted fantastic. 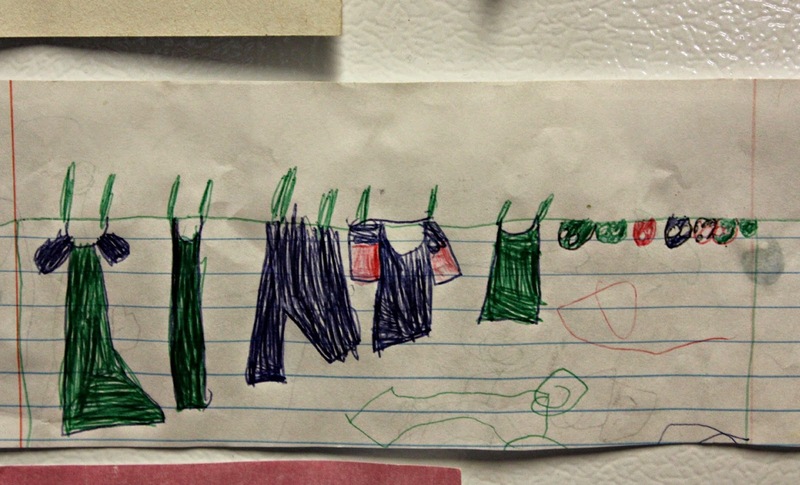 It was on the refrigerator, a little drawing from one of Laura's granddaughters. I love that it's a small symbol of the family's culture. This made me look at my own fridge when I got home. I'd say that pretty much pegs me, though our pets are missing. How about you? 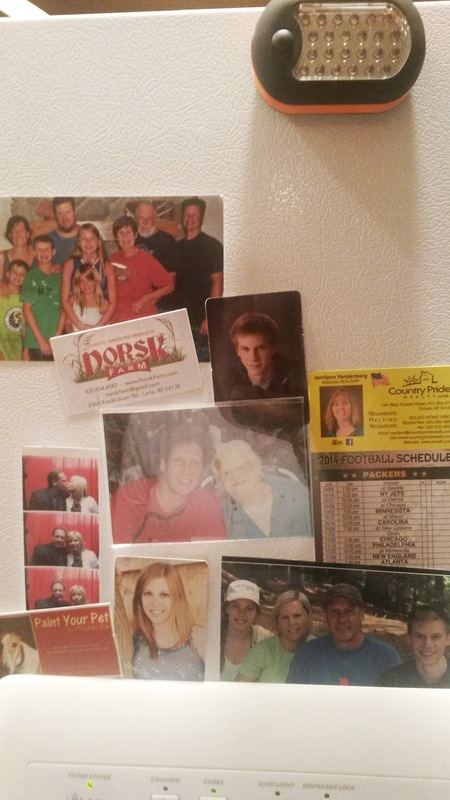 What does your fridge say about you?